In the 1930s Zeppelins and Airships seemed to be the future of human transportation. There were luxurious floating hotels like the Hindenburg, exploration vessels that successfully visited the north pole, like the Norge, and even the Graf Zeppelin, which flew around the world non-stop with luxurious comfort for it's 40+ crew and passengers. The materials and manufacturing we have now vastly surpass the technology of the 1930s. With computer navigation and high efficiency solar panels, a new class of floating luxury yachts is ready to be built and used to liberate humanity from the shackles of gravity. He goes on to say that modern advances in materials, battery life, solar power, natural air currents, and automated flying systems will make home-sized zeppelins possible. It's not clear what the goals are here. The airship is supposed to be both a luxury and a vehicle for the masses. It's supposed to end commuters' pollution at the same time that it creates a permanently moving group of global citizens. It's as though someone saw Venice, and decided that to solve all the Venetians' problems, everyone buys a yacht or houseboat. The steps to achieve those goals? 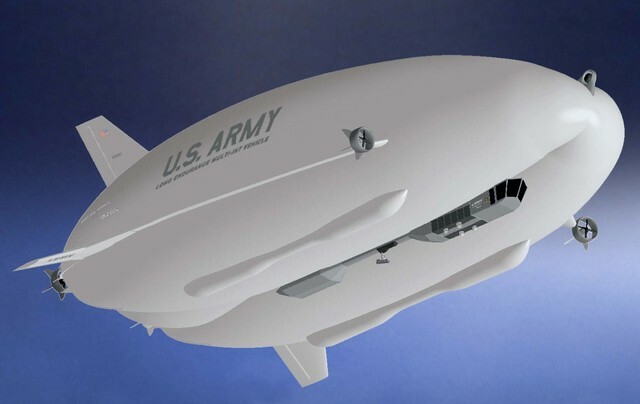 The first stage is developing 100 small scale autonomous airships, which seems excessive, and testing the hell out of them ("ton of short distance, local testing" and "ton of long distance, interstate testing"). From there, the plan is to build open-source airship piloting software, prototypes of which will be given to donors. The last step: "Begin producing and selling low-cost, high-reliability fully autonomous luxury airship homes to the general public," the project description says. The rewards for donating to the project range from a DVD about the airship to a ride on the finished product to owning a working test model. The ultimate goal for funding is set at $1 million, and as of press time there was a pledge of $5 and 119 days left to go. Good luck?